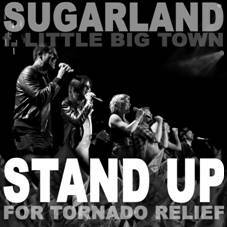 >>>Sugarland and tour mates Little Big Town have created a special video performance of “Stand Up” from the duo’s platinum album Incredible Machine. The performance and video clip go on sale today (5/31) on iTunes. All proceeds go to the Red Cross to support victims from last month’s tornadoes across Alabama and in Joplin, MO. The video costs $1.99 and the audio track is $1.29. 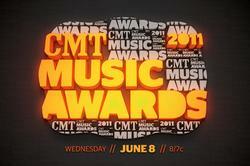 >>>The 2011 CMT Music Awards is preparing to inject America with a strong dose of reality [show] star power. Shania Twain is set to make her first appearance on the show in seven years. Joining the growing list of presenters are teen pop sensation Justin Bieber, American Idol winner Scotty McCreery and runner up Lauren Alaina, as well as Dancing With The Stars winner (and sometime Pittsburgh Steeler) Hines Ward. Also presenting will be Sara Evans, Train, Kristin Chenowith, stars of the CMT original movie To The Mat Laura Bell Bundy and Ricky Schroder, Green Bay Packers’ Clay Matthews, actress Melissa Peterman and actress Mary Steenburgen. Kid Rock will reprise his host role, and the evening will feature performances by Big & Rich, Jason Aldean, Keith Urban, Lady Antebellum, Luke Bryan, Rascal Flatts, Sugarland, Toby Keith and the Incognito Banditos, and Zac Brown Band. Tickets are sold out but check CMT’s Twitter for information on opportunities to win seats. The show airs live on CMT June 8 at 7 pm CT.